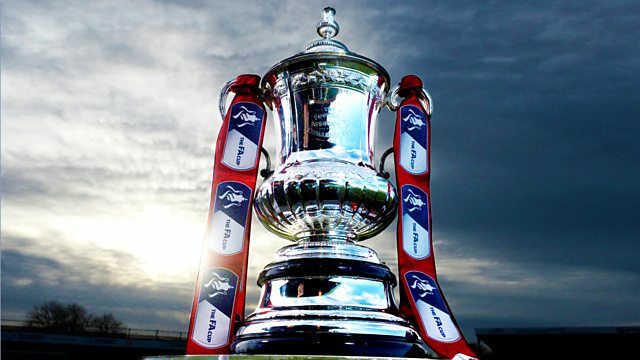 Live coverage of Rochdale v Tottenham Hotspur in the fifth round of the FA Cup. Browse content similar to Fifth Round: Rochdale v Tottenham Hotspur. Check below for episodes and series from the same categories and more! wonderful work. Aside from Cannon. the bottom of League 1.
have ever played each other. boy Jermaine Jenas, still only 35! Been doing this for 12 years. adamant he wanted the picture laid. Possibly has Tottenham helped them? upset less likely, Jermaine Jenas? far from here. Like home to home. good job, only a couple of days. having a look with his assistance. changes. A chance for you rent out. Harry Kane in your team. he knew the deal when he signed. reasonably well. Gets into the box. of you, you will not buy that often. Kane but not very often. them is an insurance that is needed. matches for the club. Here he is. excited are you buy this cup tie? game and that is what we have done. and beat this Tottenham side? the pitch did hinder you as well? probably 20 or 30 times better. things at this football club. Sydney, is one of the mascots today. will be home to do his homework. hold. A sense of relief, definitely. I came to Rochdale 18 months ago. wasn't going to be around for them. better soon. I miss you. have. And it was torture. football pitches where I feel free. just go and enjoy competing. It's quite a story, isn't it? Premier League and Champions League. important to learn from the past. could really do with a trophy. have spoken about. Big-name players. It is a bit of a risk today. there who are short of game time. But this is Rochdale's day. 70s ended his playing career here. half by that name in the 1950s. relayed afresh in less than a week. it here, you can smell football. game ratio, five games, five goals. starting a game for Tottenham at. let's hope we get a game to enjoy. out that message all week. they've got a good playing surface. for a club of Rochdale's budget. football... The ball is spread wide. they played out from the back. awful lot of noise as well. clutches of Wanyama but he couldn't. of a better pass from Rafferty. Vorm to Foyth. Sissoko to Trippier. Just over the head of Matt Done. excuse today for Tottenham players. definitely a factor in that. dazzling already on his first start. It will be a Spurs throw. who held onto his arm. Trippier takes the free kick. enough to take it from Wanyama. Son tried to pick up the pace. be the guards to let that go behind. progressed a lot this season. on those above them in League 1.
to get onto the ball. It will be a Rochdale corner. Trippier was under real pressure. Matt Done will take the corner. for any sort of football match. almost went in -- for Josh Lillis. be given as a foul. conduct? Got away with it there. Only just. A slip from Josh Lillis. on the newly laid grass. animated reaction from Keith Hill. that away. Kitching attacked it. when he judges a tackle like that. box. Players in a better position. But of course, you want the glory. them in 20 Fourth Place in League 1.
first 20 minutes in this game. goal down and climbing a mountain. The header went straight to Camps. his feet and so did Son. kick. I think it was on Llorente. card out, or let the game go. having a bit of a breather. he has. He could not win the second. He was fouled, Danny Rose. it onto Son. A lot to do from here. time the ball comes into the box. patient. On Llorente's weaker foot. Llorente. But it was a good move. is going for him at the moment. January, and another in December. Danny Rose with the Tottenham throw. season put them away with ease. Vorm, but it was nowhere near Vorm. are not going to get one. they need to do with it yet, though. Son. This is a good ball, as well. will get it in, don't worry. afternoon. A bit like you. Matt Done's turn to be frustrated. He made the run and checked his run. to man for Rochdale goals. play a nice brand of football. Foyth was pestered by Henderson. Son, just enough on that. McGahey turns another one away. just go up the gears really quickly. Trippier at the Spurs corner. Delaney. Done coming back to help. attackers, Lucas Moura most notably. headers. Doing his bit for the team. ride on the back of Andy Cannon. How many fouls are in there? always going to be favourite. out in the second half level. everything else on Tuesday night. Decent ball in. Really good ball in. there. Great delivery in again. The quality has been really good. after this game, that's for sure. out. -- out comes Lillis. Trippier to Lucas Moura. Winks. Henderson. Lost it to Wanyama. Son. groans of the Spurs fans around us. need for the extra pass. Sissoko. Out comes Danny Rose. Cleverly done by Ryan Delaney. Rose. Helped away nicely by McNulty. and he can open up teams. have the stats. I teed you up. Moura. And now Danny Rose. dealt with by McNulty. Wanyama. midfield, to get back in position. Ian Henderson has found the net! them going in at half-time level. the Rochdale's good pressing again. forget the other two now, can't he? Newport away all over again. they haven't learned their lesson. going to work hard and close down. the top end of the pitch. they stuck the ball in the net. level with Wigan's Will Grigg. Henderson is on fire now. he took that one really confidently. mentioned the way they were passing. has come from the centre-half. Through, one, two touch football. They have been so good on the eye. across to the right-hand side. earlier. -- they have pressed well. under pressure in the final third. that is what Keith set out to do. keeping the ball moving quickly. ball, he's gone wrong for the ball. bounce back after a miss. side, lots of good crosses. and it's caused Spurs problems. constantly coming down this site. of those. Rafferty is a big problem. and their performance suggests that. breaking into these types of areas. really well with Llorente and Son. will come with that game practice. to go for it and get into the area. hold his run a bit longer. to have to come on? Why not start with them? about playing an FA Cup final. was an honour to lead the team out. we could win the game. we got more control of the game. feeling it was going to be our day. come back from a serious injury. have won the 2013 FA Cup final. able to show mine off. day. -- it is still memories. Coverage of that match from 7:30pm. that stay with us, Roberto Martinez. they stay on the bench? quality forwards. But I am happy. am hoping we will rectify that. should be a terrific second half. Lillis, now it is Llorente's turn! Henderson has found the net! they do the same against Tottenham? want to stay there and stick at 1-0.
the pitch. Probably less happy now. He's got to do something. foot. They will concede eventually. will give them so much positivity. They have got to remain positive. Here they go. Henderson walking out. with West Ham in 1980.
over to this left-hand side for now. Son up top. Sissoko on the right. Didn't get enough head on the ball. Lillis gets the ball up and away. You have to learn from it. Foyth under pressure from Humphrys. many touches on the ball, sometimes. flying through to try to meet it. That will be a free kick. best headers in the Premier League. The flag is up against Humphrys. Rose was caught by Humphrys. Advantage indicated by the referee. It has not gone anywhere for Spurs. diagonal. You do not need to. rolled away too far from his boot. be watched by Josh Lillis' dad Mark. He is working in India. and he goes for goal. stepping it up a little bit. Plenty of time for Lillis here. as much time as they can. from Rafferty. For a Rochdale throw. Cannon working hard to keep it. Son was dispossessed by McNulty. and the free kick will be Spurs'. 2-0 down against Juventus midweek. went on the run past him. wonderful players out of the side. resulted in a free kick. having a word with Iain Henderson. anybody. It was too small a run-up. gem. Good business for Spurs. McGahey to lift one forward. What a chance. Down goes Henderson. are going for the winning goal. Winks did well the second half. Added tempo in the midfield. he is still coming back to fitness. seen him the last couple of games. take a yellow, that is why. that way. They Spurs corner. The tempo is better from Spurs. more. Pressing higher up the pitch. He went for the short option. rhythm of the Spurs fans' chanting. control in the same way will -- way. starting to look a bit weary. He tried to hit it. Camps took it away from Lucas Moura. Alderweireld has to be careful now. This is better. Making them run. he has been their best player. yellow for the Rochdale number two. 's strong hands to it. deflection back of Dele Alli. centre-half on the opposition team. the sort of form he is on. presence, he has that presence. coming at the back of him. It has to be Trippier. Alli trying to turn it Kane's wave. -- way. Dispossessed by Lamela. Dele Alli. Rose for Sissoko. Kick off just before 8pm. be in the draw for the sixth round? again and won a corner. long, should have got in. Lillis can't get through the crowd. more familiar with the dads. his team? -- think of Wembley. Danny Rose with the Spurs throw. Harry Kane and Lamela in the middle. players in teams like this. Son keeps going. Trippier's ball in. in the second half. Dele Alli. Rose. Yeah. The ref's done well today. about who is going to put this in. players in the Premier League. Got a bit excited, I suppose. Tottenham have the free kick. left foot. Lamela once it on his. Fresh legs. Fresh legs of Dele Alli. great game. But tired legs. 49 in a single season for Spurs. dream has an away, now. of pace in it. Right in the corner. 2-1. That's a good penalty, that is. the middle. -- missed at Liverpool. always a goal, Mr Kane. We are into the last minute. the Match for me today. many have performed so well. quarterfinals of the FA Cup. FA Cup is all about. let themselves down one little bit. hit the hand of Brad Inman. again, the Wembley dream is alive! Spurs thought they had in won. determination. Two minutes to go. and they get a trip to Wembley. There's some joy in that! Rochdale were out of the cup. Foyth will spread it to trivia. A great bit of work from Rathbone. Rochdale. From start to finish. STUDIO: Well, would you believe it! with a goal. What a break for him. dominated the second half, really. game. And we thought that was it. having a crack to play at Wembley. Tottenham to a replay at Wembley. to go to Wembley to play them. did you feel that was it for you? tough to get back into the team. dropped to me and I finished it. it, look at how special this day is. will never give up -- big fellas. at Wembley is fairly unique. both played on numerous occasions. deserved it because of all of that. themselves. -- positive and brave. sharpness about you is brilliant. game, they deserved this replay. game which they didn't want. is in a good position. are Rochdale doing where they are? They just needed a good pitch! to keep it going all that time? occasion. This place was rocking. decision. -- got Man of the Match. emotions when it hit the net. to win a couple of days. here in a couple of days! there ever been a moment like that? Are you happy with the draw? you have played in that first half? took the game to Tottenham. green. We make silly mistakes. the performances have been similar. switch onto the league campaign. half-time, what was the message? protect with attacking and pressing. of the ball because we are tired. Davies, he's going to score. Sunday afternoon in the pub. of the game was all about the pitch.